Missions Trips are outreach events that take us away from our local community. 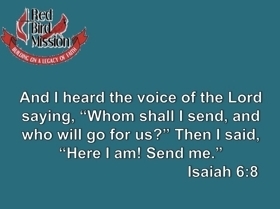 Currently we are sending teams to Red Bird Mission in Kentucky to serve a week at a time. 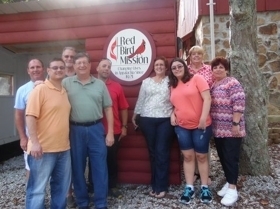 Red Bird Mission is located in Clay County Kentucky, the poorest county in th United States. We repair homes, minister to the home owners, make repairs to the mission work camp, and have the privilege of serving with folks all over the country and of all ages. The cost of the trip is approximately $600. This includes your week at the camp, hotel and meal expenses going to and from Red Bird and meals and entertainment on Wednesday during the week you serve. For more informaiton, contact the church office. We are currently exploring our international Mission Trip. 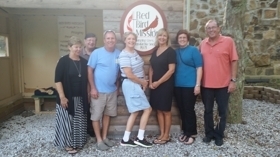 To be eligible for an international mission trip you must attend one Red Bird Mission week first. Keep checking back to see where God is leading Saint James to serve around the world.